State Farm is running “Don’t You (Forget About Me)”, a commercial featuring the 1985 Simple Minds hit in the context of a soup kitchen, supporting the insurance company’s Neighborhood of Good movement. The holidays are a popular time to get involved and give back, but when the decorations come down and the season of giving ends, there are still people in need in the community. The commercial reminds viewers that the season of giving never ends, and highlights the importance of giving back regardless of the time of the year. In one seamless camera movement, the creative tells a story that emphasises the need for volunteers year-round. “I think a lot of us can relate to finding ourselves being more generous during the holidays—to finally finding the time to act on the good intentions we have throughout the year. But once they’re over, we often go back to our normal day-to-day… until the next holiday season. This piece dramatises what that reality looks like for many shelters and places of need. And hopefully motivates people to stay involved, well after the lights and decorations of the holidays come down,” said Mel Routhier, SVP and Group Creative Director at DDB about the work. The film is part of a 360 campaign that supports State Farm’s Neighborhood of Good movement. Creative running across national broadcast, online video, social media, and digital display will drive people to neighborhoodofgood.com where they are able to easily discover and connect with charitable opportunities in their communities. PR and influencers will provide additional support. Willis Earl Beal, the singer featured in the commercial, experienced homelessness while living in Albuquerque, New Mexico. Here he reflects on the experience of recording for the commercial. The Don’t You campaign was developed at DDB Chicago by chief creative officers Ari Weiss and John Maxham, group creative director Mel Routhier, copywriter Katie Bero, art director Brian Culp, group strategy director Jesse Bayer, executive producers Scott Kemper and Amy Turner, executive art producer Suzanne Koller, chief production officer Diane Jackson, associate producer Jon Frazza, production manager Zoe Grubbe, music producer Linda Bres, group account director Ben Gladstone, account supervisor Oliver Glenn, account executive Kamerin Elsasser and account director Veronica Zamiar. Filming was shot by director Aiofe McArdle via Anonymous Content and Somesuch & Co, with director of photography Tom Townend, executive producer Nicky Barnes and producer Debbie Ninnis. Editor was Joe Guest at Final Cut with executive producer Suzy Ramirez, assistant editors Kit Wells and Megan Marie Connolly, and producer Barbara Healy. Post production was done at MPC by VFX supervisor Peter Smith, producer Liz Thuvanuti, executive producer Jesse Kurt, colour producer Amy Richardson, colourist George Kyriacou, colour assistants Phil Hambi, 2D lead artists Timo Huber, Steve Koenig, Rob Walker, 2D lead Matt Tremaglio. Sound was designed at Marshall Grupp by producer Becca Falborn. Sound was mixed at Sound Lounge by mixed Tom Jucarone, executive producers Mike Gullp and Nick Nash. Music was produced at Tin Drum Music by David McEwan. 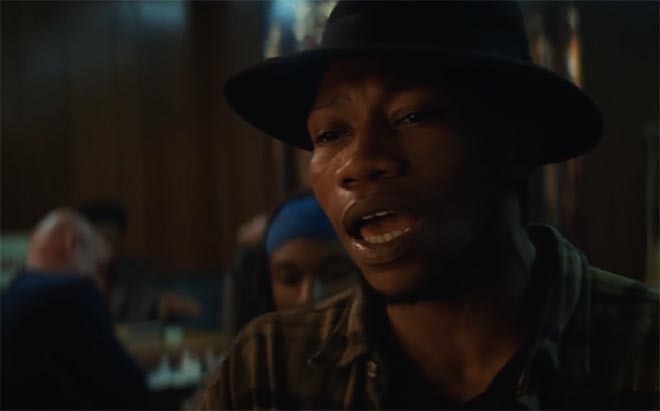 Music is “Don’t You (Forget About Me)”, written and composed by producer Keith Forsey and Steve Schiff, performed by Willis Earl Beal.